The conference will be organized around the theme, "Unravelling the convolution in Rheumatology and Arthritis". Rheumatology Congress 2019 unites all the innovators to glaze the entire field of Rheumatology and to experience the advancements in the research and development in the field of Orthopedics, Osteoporosis, Osteoarthritis, Paediatric Rheumatology, Rheumatoid arthritis, Systemic Lupus Erythematosus, Juvenile Rheumatoid Arthritis, Sport-Medicine, Orthopedics & Trauma, Bone health and many more. It is the platform for all the scholars, researchers, scientist, organizations and industries to exhibit the recent advancements in diagnosis, treatment and postoperative managements of Rheumatology and arthritis. The event comprises the various aspects of arthritis and Rheumatology with discussion on causes and types of Arthritis with their Rehabilitation methods. The new emerging prosthesis with applied technologies of Biomaterials, Nanotechnology, Ayurveda and Tissue engineering in the field of rheumatology and arthritis are comprised in the conference. 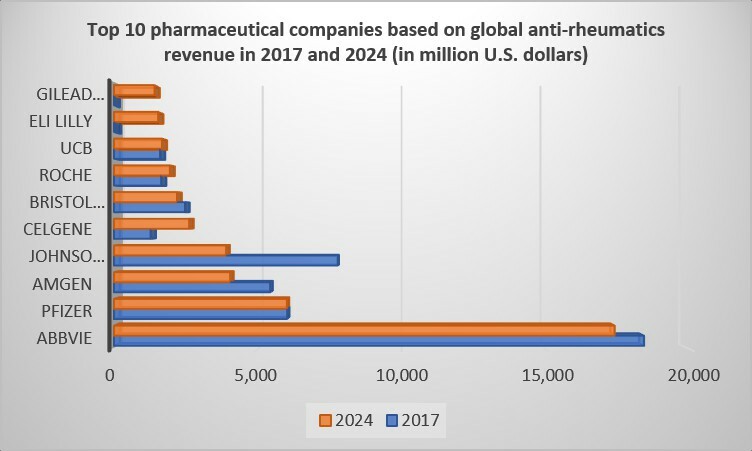 The people around the world searching for the advancement in the field of Rheumatology and Arthritis this is the glaze opportunity to accomplish the great accumulation of individuals with knowledge in rheumatology and arthritis research and developments. The most recent and current updates in Rheumatology and arthritis are the major indications of this conference that provides a mass networking along the global level. To have a wide range of exposure to various fields related to Rheumatology and arthritis such as Osteoporosis, Osteoarthritis, Paediatric Rheumatology, Rheumatoid arthritis, Systemic Lupus Erythematosus, Juvenile Rheumatoid Arthritis, Sport-Medicine, Orthopedics & Trauma, Bone health and many more. Musculoskeletal Disorders or MSDs are injuries and disorders that affect the human body’s movement or musculoskeletal system (i.e. muscles, tendons, ligaments, nerves, discs, blood vessels, etc.). The causes of musculoskeletal pain are varied. MSDs can arise from a sudden exertion or repetitive movements, overuse, and prolonged immobilization. Other causes of MSDs include postural strain, Changes in posture or poor body mechanics may bring about spinal alignment problems and muscle shortening, therefore causing other muscles to be injured and become painful. Rheumatoid arthritis (RA) is a chronic, progressive and disabling disease where the immune system attacks the synovial lining to the joints and other organs. If left untreated, the joint can lose its shape and alignment, cause bone erosion and ultimately lead to destruction of the joint and permanent disability. RA is also a systemic disease, which means it can affect internal organs of the body such as the heart, eyes and lungs. Rheumatoid arthritis (RA) has many physical and social consequences and can lower quality of life. It can cause pain, disability, and premature death. Osteoporosis is a progressive metabolic bone disease that decreases bone density (with deterioration of bone structure. Skeletal weakness leads to fractures with minor or inapparent trauma, particularly in the thoracic and lumbar spine, wrist, and hip. It is also called degenerative disease or degenerative arthritis. Prevention and treatment involve risk factor modification, calcium and vitamin D supplements, exercises to maximize bone and muscle strength, improve balance, and minimize the risk of falls, and drug therapy to preserve bone mass or stimulate new bone formation. Osteoarthritis (OA) is the most common form of arthritis and refers to a clinical syndrome of joint pain accompanied by varying degrees of functional limitation and reduced quality of life. Knee, hip and hands are the joints most frequently affected. The causes of osteoarthritis are complex and include physical, environmental and genome factors. With Osteoarthritis, this cartilage breaks down, making the bones within the joint to rub together. This can cause pain, stiffness, and different side effects. Systemic lupus erythematosus (SLE) is a chronic, multisystem, inflammatory disorder of autoimmune Etiology, occurring predominantly in young women. Common manifestations may include arthralgias and arthritis, Raynaud phenomenon, malar and other rashes, pleuritis or pericarditis, renal or CNS involvement, and hematologic cytopenia’s. Diagnosis requires clinical and serologic criteria. Treatment of severe, ongoing, active disease requires corticosteroids and sometimes immunosuppressants. 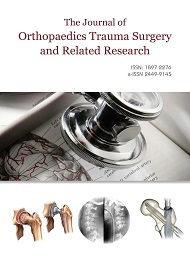 Related Conferences: September 4-6, 2019 – Bone Research Society and British Orthopaedic Research Society Annual Meeting, Wales, UK | September 4–7, 2019 – 11th Congress of the European Pain Federation, Valencia, Spain | September30 - October 3 , 2020 – 41st SICOT Orthopaedic World Congress Budapest, Hungary | October 10-12, 2019 – Mayo Clinic Pulmonary Manifestations of Connective Tissue Disorders 2019, Amelia Island, Florida, USA | October 11–12, 2019 – Musculoskeletal Ultrasound, Philadelphia University and Thomas Jefferson University, Pennsylvania, USA | October 11-14, 2019 – 37th Annual Meeting of The Japanese Society for Bone Mineral Research, Kobe, Japan | October 12-17, 2019 – 9th International Conference on Autoimmunity Mechanisms and Normal Treatment, Crete, Greece. Juvenile idiopathic arthritis is a group of rheumatic diseases that begins by age 16. Arthritis, fever, rash, adenopathy, splenomegaly, and iridocyclitis are typical of some forms. Diagnosis is clinical. Treatment involves NSAIDs, intra-articular corticosteroids, and disease-modifying antirheumatic drugs. Juvenile idiopathic arthritis (JIA) is uncommon. The cause is unknown, but there seems to be a genetic predisposition as well as autoimmune and autoinflammatory pathophysiology. JIA is distinct from adult rheumatoid arthritis, despite occasional similarities. Infectious arthritis is an infection in a joint. It may also be referred to as septic arthritis. It occurs when an infection caused by a bacteria or virus spreads to a joint or the fluid surrounding the joint. This fluid is called the synovial fluid. This infection usually begins in another area of the body and spreads through the bloodstream to the joint tissue. The infection may also enter the body through surgery, open wounds, or injections. Infectious arthritis usually only occurs in one joint. The condition typically affects a large joint such as the knee, hip, or shoulder. It occurs more often in children, older adults. Fibromyalgia is a common non-articular disorder of unknown cause characterized by generalized aching (sometimes severe); widespread tenderness of muscles, areas around tendon insertions, and adjacent soft tissues; muscle stiffness; fatigue; mental cloudiness; poor sleep; and a variety of other somatic symptoms. Diagnosis is clinical. Treatment includes exercise, local heat, stress management, drugs to improve sleep, and nonopioid analgesics. Gout is a disorder caused by hyperuricemia that results in the precipitation of monosodium urate crystals in and around joints, most often causing recurrent acute or chronic arthritis. The initial attack (flare) of gout is usually non-articular and often involves the 1st metatarsophalangeal joint. Symptoms of gout include acute, severe pain, tenderness, warmth, redness, and swelling. Diagnosis requires identification of crystals in synovial fluid. Treatment of acute attacks is with anti-inflammatory drugs. The frequency of attacks can be reduced by regular use of NSAIDs, colchicine, or both and by lowering the serum urate level with allopurinol, febuxostat, or uricosuric drugs such as lesinurad and probenecid. Vasculitis is inflammation of blood vessels, often with ischemia, necrosis, and organ inflammation. Vasculitis can affect any blood vessel—arteries, arterioles, veins, venules, or capillaries. Clinical manifestations of specific vasculitis disorders are diverse and depend on the size and location of the involved vessels, the extent of the organ involvement, and the degree and pattern of inflammation. Sjögren syndrome (SS) is a relatively common chronic, autoimmune, systemic, inflammatory disorder of unknown cause. It is characterized by dryness of the mouth, eyes, and other mucous membranes due to lymphocytic infiltration of exocrine glands and secondary gland dysfunction. SS can affect various exocrine glands or other organs. Diagnosis is by specific criteria relating to eye, mouth, and salivary gland involvement, autoantibodies, and (occasionally) histopathology. Treatment is usually symptomatic. Spondyloarthropathy or spondyloarthrosis refers to any joint disease of the vertebral column. Seronegative spondyloarthropathies (seronegative spondyloarthritides) share certain clinical characteristics (e.g., back pain, uveitis, GI symptoms, rashes). Spondyloarthropathy can develop in association with GI conditions (sometimes called enteropathic arthritis) such as inflammatory bowel disease, intestinal bypass surgery, or Whipple disease. Related Conferences: September 4-6, 2019 – Bone Research Society and British Orthopaedic Research Society Annual Meeting, Wales, UK | September 4–7, 2019 – 11th Congress of the European Pain Federation, Valencia, Spain | September30 - October 3 , 2020 – 41st SICOT Orthopaedic World Congress Budapest, Hungary | October 10-12, 2019 – Mayo Clinic Pulmonary Manifestations of Connective Tissue Disorders 2019, Amelia Island, Florida, USA | October 11–12, 2019 – Musculoskeletal Ultrasound, Philadelphia University and Thomas Jefferson University, Pennsylvania, USA | October 11-14, 2019 – 37th Annual Meeting of The Japanese Society for Bone and Mineral Research, Kobe, Japan | October 12-17, 2019 – 9th International Conference on Autoimmunity Mechanisms and Novel treatment Crete, Greece. Systemic sclerosis is a rare chronic disease of unknown cause characterized by diffuse fibrosis and vascular abnormalities in the skin, joints, and internal organs (especially the esophagus, lower GI tract, lungs, heart, and kidneys). Common symptoms include Raynaud phenomenon, polyarthralgia, dysphagia, heartburn, and swelling and eventually skin tightening and contractures of the fingers. Lung, heart, and kidney involvement accounts for most deaths. Diagnosis is clinical, but laboratory tests support the diagnosis and aid in prognostication. Specific treatment is difficult, and emphasis is often on treatment of complications. Soft tissue rheumatism (STR) describes conditions affecting tissue surrounding a joint, such as ligaments and tendons, and includes conditions such as tendonitis, bursitis, fasciitis and fibromyalgia. STR forms a broad spectrum of health problems, most of them poorly defined according to diagnostic criteria and case definitions. Paediatric rheumatic diseases, also called juvenile arthritis, is an umbrella term used to describe the many autoimmune and inflammatory conditions that can develop in children ages 16 and younger. Some paediatric rheumatic diseases affect the musculoskeletal system, but joint symptoms may be a minor or non-existent component. Paediatric rheumatic diseases can involve the eyes, skin, muscles and gastrointestinal tract as well. Orthopaedic surgery is a specialty dealing with acute injuries, congenital and acquired disorders and chronic arthritic or overuse conditions of the bones, joints and their associated soft tissues, including ligaments, nerves and muscles. Arthroplasty is an orthopedic surgery where the articular surface of a musculoskeletal joint is replaced, remodelled, or realigned by osteotomy or some other procedure. It is an elective procedure that is done to relieve pain and restore function to the joint after damage by arthritis (rheum surgery) or some other type of trauma. Myopathy is a disease of the muscle in which the muscle fibres do not function properly. This results in muscular weakness. It implies that the primary defect is within the muscle, as opposed to the nerve’s neuropathies or neurogenic disorders. Muscle cramps, stiffness, and spasm can also be associated with myopathy. An arthropathy is a disease of a joint. Arthritis is a form of arthropathy that involves inflammation of one or more joints, while the term arthropathy may be used regardless of whether there is inflammation or not. Related Conferences: September 06 - 08, 2019 – The Lupus Academy 8th Annual Meeting Warsaw, Poland | September 11–13, 2019 – 35th European Committee for Treatment and Research in Multiple Sclerosis, The Congress, Stockholm, Sweden | September 11-14, 2019 – Vascular Ultrasound-Core, Philadelphia University and Thomas Jefferson University, Pennsylvania, USA | September 12-14, 2019 – The 38th Annual Meeting of the European bone and Joint Infection Society Antwerp, Belgium | September 13-14, 2019 – Myotonic Dystrophy Foundation Annual Conference, Pennsylvania, USA | September 15-18, 2020 – BOA Annual Congress 2020 Birmingham, United Kingdom | September 15-19, 2019 –14th World Congress on Inflammation, Sydney, Australia. Physical therapy aims to improve joint and muscle function (e.g., range of motion, strength) and thus improve the patient’s ability to stand, balance, walk, and climb stairs. For example, physical therapy is usually used to train lower-extremity amputees. On the other hand, occupational therapy focuses on self-care activities and improvement of fine motor coordination of muscles and joints, particularly in the upper extremities. Physical therapy is used to improve a patient's quality of life through examination, diagnosis, prognosis, physical intervention, and patient education. Exercise stimulates tissue change and adaptation. Regular physical activity reduces the likelihood of medical illness, decreases the incidence of the major causes of death, and improves the overall health and quality of life for patients with most medical conditions. By increasing muscle mass and strength and fostering cardiovascular endurance, exercise improves functional status for sports and activities of daily living and protects against injury. Specific exercise programs are also commonly prescribed to rehabilitate patients after MI, major surgery, and musculoskeletal injury. 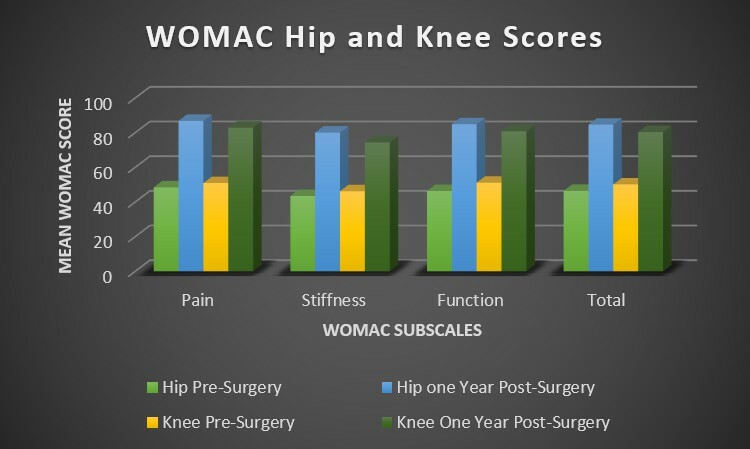 Preoperative exercise regimens are prescribed before many elective surgical procedures to enhance postoperative recovery. Related Conferences: September 4-6, 2019 – Bone Research Society and British Orthopaedic Research Society Annual Meeting, Wales, UK | September 4–7, 2019 – 11th Congress of the European Pain Federation, Valencia, Spain | September30 - October 3 , 2020 – 41st SICOT Orthopaedic World Congress Budapest, Hungary | October 10-12, 2019 – Mayo Clinic Pulmonary Manifestations of Connective Tissue Disorders 2019, Amelia Island, Florida, USA | October 11–12, 2019 – Musculoskeletal Ultrasound, Philadelphia University and Thomas Jefferson University, Pennsylvania, USA | October 11-14, 2019 – 37th Annual Meeting of The Japanese Society for Bone Mineral Research, Kobe, Japan | October 12-17, 2019 – 9th International Conference on Autoimmunity Mechanisms, and Novel treatment,Crete, Greece. Pain is the most common reason patients seek medical care. Pain has sensory and emotional components and is often classified as acute or chronic. Acute pain is frequently associated with anxiety and hyperactivity of the sympathetic nervous system (e.g., tachycardia, increased respiratory rate and BP, diaphoresis, dilated pupils). Chronic pain does not involve sympathetic hyperactivity but may be associated with vegetative signs (e.g., fatigue, loss of libido, loss of appetite) and depressed mood. The pain associate with the rheumatic disorders is very difficult to find, but the development of the pain makes the tissue damage with or without inflammatory condition. Barcelona is a city in Spain. It is the capital and largest city of Catalonia, as well as the second most populous municipality of Spain. Barcelona is one of the world's leading tourist, economic, trade fair and cultural centres, and its influence in commerce, education, entertainment, media, fashion, science, and the arts all contribute to its status as one of the world's major global cities. It is a major cultural and economic centre in southwestern Europe. The city was ranked Europe's third and one of the world's most successful as a city brand. Barcelona is a transport hub, with the Port of Barcelona being one of Europe's principal seaports and busiest European passenger port. Barcelona was the 20th-most-visited city in the world by international visitors and the fifth most visited city in Europe. Barcelona as internationally renowned a tourist destination, with numerous recreational areas, one of the best beaches in the world, mild and warm climate, historical monuments, including eight UNESCO World Heritage Sites and developed tourist infrastructure. 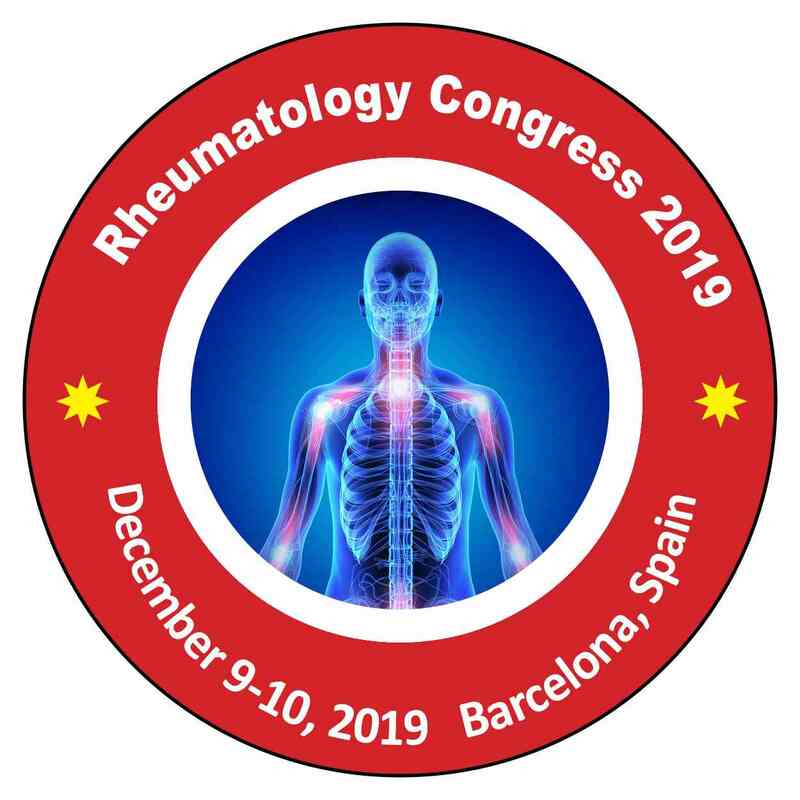 Rheumatology Congress 2019 is an International Conference organized by Pulsus, welcomes all the eminent researchers and scholars around the globe to be the member of “13th International Conference on Rheumatology and Arthritis” scheduled on December 9-10, 2019, Barcelona, Spain . The Objective of the Conference is to reach the Advancement in the Field of Rheumatology and Arthritis by the global gathering and meeting of peoples from various diversities to share the knowledge by paper presentations, poster presentation and by the delivery of speech & lectures on the research work. Arthritis 2019 is eagerly waiting in addressing all the participants, scholars, researchers and industrial expects to make the gathering more successful. Rheumatology Congress 2019 provides the opportunity to combine all these diverse field in a single place to share and innovate ideas among the members of other countries. The development of Biomaterial has build many Industries, which contributes the major share of the global economy. It is stated that among all the field, Rheumatologist are the one who earn an average salary of $257,000 annually.